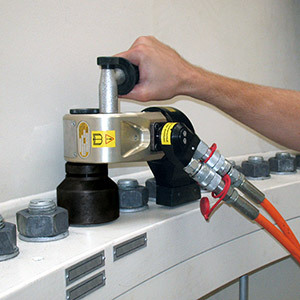 Our experience in supplying bolting technology to wind power plants stretches over more than 20 years. 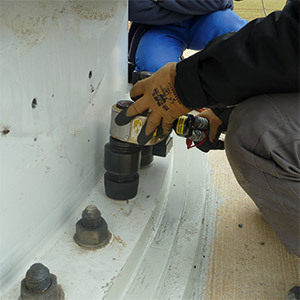 We provide efficient solutions for all bolting joints necessary on a wind turbine – from the foundation to the rotor blade. 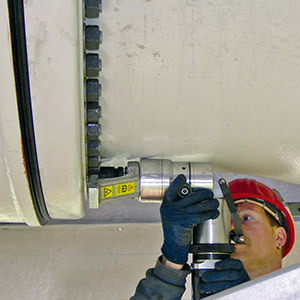 Our close cooperation with manufacturers, erection teams and a large number of service companies has afforded us unique insights into the requirements involved with the production, assembly and maintenance of wind power plants. The products designed and manufactured under the brand name Plarad exclusively in Germany provide their users with the highest level of safety. 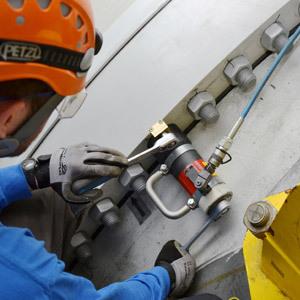 Our long years of experience in the offshore industry have enabled us to offer you a range of high-quality bolting systems that are particularly well-suited for use at offshore installations.